Juice fruits, vegetables, wheatgrass, leafy greens and even make mochi, baby food and tasty desserts! 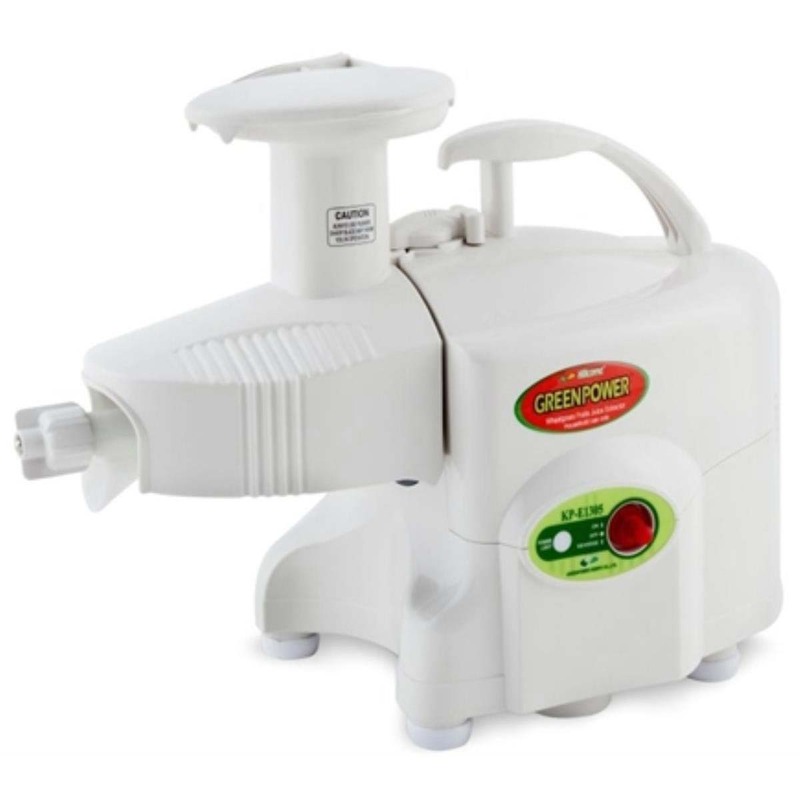 Continuously juices preventing pulp from cloggin, resulting in dry pulp and nutrient rich juice. Large feeding chute, light weight and incredibly easy to clean up. Includes multi-purpose kit. Bio-ceramic & magnetic technology ionizes juice delaying oxidation keeping juice fresh for 72hrs! Twin Gear machines are excellent for wheatgrass and other grasses, Kale and other leafy greens, carrots, beets, cucumber, herbs, and many other fruits and vegetables. 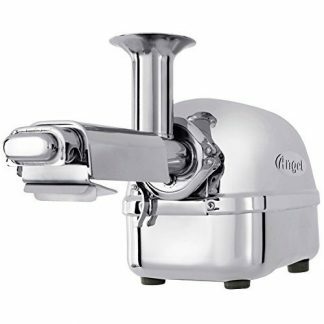 Produce is squeezed between two closely aligned stainless steel magnetized gears (twin gears). 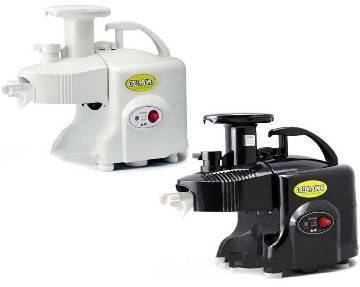 The masticating 160 RPM speed reduces heat and preserves enzymes. Juice is collected in a BPA-Free container with magnets to help preserve juice quality. Pulp is collected in a stainless steel container. Most of the machine is built with recyclable materials. 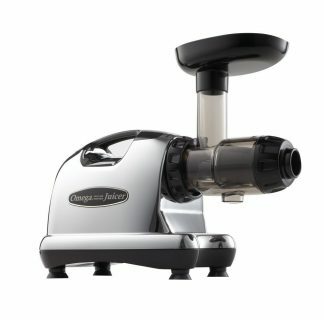 Crush screen (no holes) for nut butters, sorbets, etc. 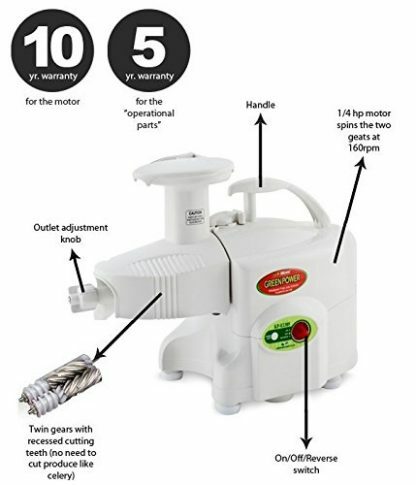 The KPE1304 juices all of the produce mentioned in this MP-Kit description. The Multi-Purpose Kit is for those who want additional flexibility and potentially increased production. The Kit provides additional parts for juicing soft fruits, tomato, orange, pomegranate, grape, berries, watermelon and wheatgrass. These nozzles potentially improve yield for softer fruits. 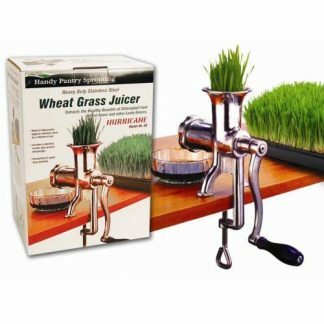 For wheatgrass, the gears will potentially reduce foaming. The combination of the MP-Kit gears and nozzles can provide more functional pressure settings to achieve better results.